All it takes is one look to realize Frank Grillo is that kind of actor. A throwback to the days when a man’s face could tell a million tales, be the star of a hundred movies before you’ve heard him even speak. The first time I saw Mr. Grillo was as a salt-of-the-earth trainer in “Warrior.” Joel Edgerton’s character is training for the fight of his career when he walks into Grillo’s office, and these old friends discuss how they used to train. And the entire time, I’m thinking, oh, [director] Gavin O’Connor is one of those types who like to line actors up with non-professionals. The way Grillo spoke, the way his body language was aggressive but precise, made me think they merely used the actual owner of that gym, and that he was some sort of natural. This guy was interesting, I thought. 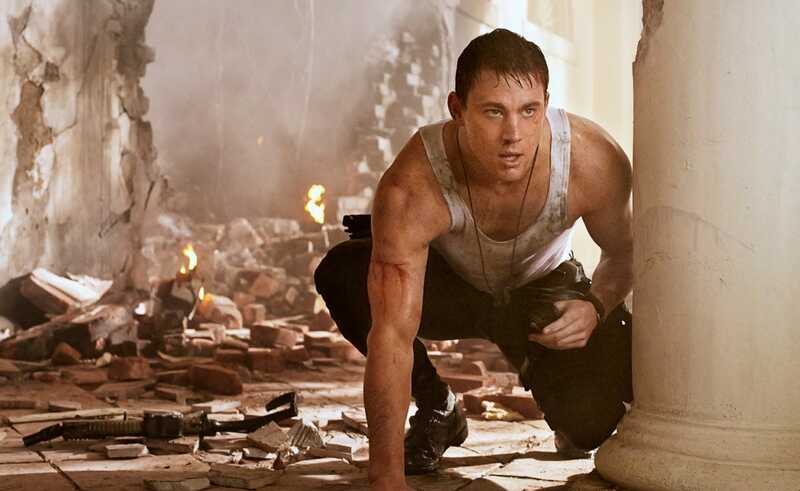 Here he was, walking into a film that was a freaking masterclass of macho-man performance from Edgerton and especially Tom Hardy and Nick Nolte, and he was just blending into the scenery. I realized there was also little to no dialogue suggesting this; O’Connor had rightly trusted Grillo to come across as the owner of the gym without directly saying so. An actor like Grillo is an actor you can be comfortable with, not only selling your story but hinting at the others below the surface. To this day, I wonder what kind of scrums Grillo and Edgerton’s characters found themselves in long before that movie began. I see that Grillo is being cast in films where his masculinity is a naked asset, a quality that reflects the strengths and weaknesses of the modern male. He’s heartbreaking in “The Grey” as an unlikable schmuck who keeps revealing layers of his own cynicism, until finally, poetically, his words about giving up are a eulogy for a certain type of contemporary masculine failure. When he discusses the lack of extra resources he has within himself to continue, the disappointment and expectations of prior generations seem to be crashing down on him. You hate this character in the early goings, as his negativity only makes things worse for those that surround him. Eventually, you cry for him. The greatest movie stars used to be able to call on this, the mixture of a lived-in, dynamic character, and the ability to portray a universal shortcoming. I found frustration with the recent “Disconnect,” not only because it’s an obvious, ineffectual picture, but because I soon realized Grillo was a satellite character, a guy with only a tangential relationship to the three main storylines. This film deals with the heartache, deceit, and loneliness of the internet, and I couldn’t help but think that, of all the dialogue coming from the mouths of that very good cast, it could all be read on Grillo’s face instead. As a private investigator who doesn’t know his son is responsible for the suicide of a peer, his character feels as if he’s staked his claim on the film’s drama, turning the entire overqualified cast into dramatic tourists. There’s the sense that some actors simply act. With Frank Grillo, it feels like he’s bigger than the film: whomever he’s playing, when the film ends, the life of his character continues. I recently saw “Kingdom Of Heaven” and it wasn’t a surprise to see why this film, and other similar efforts, have flopped: the leading man gives off zero authority or force, and more importantly, he doesn’t seem like he’s worked a day in his life. All due respect to Orlando Bloom, Taylor Kitsch and others, but can you imagine them having to work for anything in their lives, whether it be a blue collar job or a girl’s phone number? You look at Grillo, and you immediately think, this man has punched some clocks, he’s been in charge before, whether others liked it or not. I am curious if the rumor is true that Joe Carnahan’s “Death Wish” remake was shut-down because he wanted Grillo in the lead, and the studio begged for Bruce Willis – there couldn’t be a bigger divide between a guy that would KILL in the role, and the choice of a pampered exec who slept on spreadsheets to get to where he is, and who cannot relate to anyone with an actual personality. All due respect to Willis, a good actor when he’s interested, but he’s a guy who stopped trying a long time ago. And Grillo’s a guy who doesn’t seem like he’ll ever stop trying. 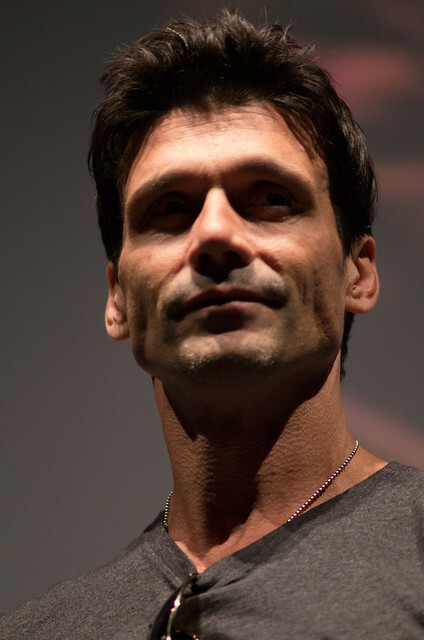 I love Frank Grillo and enjoy every of his works ! !